NEW YORK CITY, N.Y. – The New York Knicks let a win slip away last Sunday against the Utah Jazz. The 114-109 loss put the Knicks at a 2-4 record, and left many Knick fans frustrated. That loss was tough to take, especially after seeing the Knicks play so well against the Chicago Bulls. Wednesday night, the Knicks played host to the Brooklyn Nets. This rivalry match-up was a nationally televised game, and a must-win for the Knicks. The Knicks needed an all-around performance to get the job done against Brooklyn, and that is exactly what they got Wednesday night. New York was able to pull away late to secure a 110-96 win over the Nets. Here are the two biggest takeaways from the Knicks win over Brooklyn. (Photo Credit: Barry Holmes) Lee warming up prior to Wednesday night’s contest. The Knicks were out-hustled and out-played in the first half. Brooklyn led 55-50 over New York at the halfway mark. Courtney Lee told reporters, that Coach Jeff Hornacek snapped on the team for their poor defensive efforts in the first half. New York then responded by holding the Nets to just 41 points in the 2nd half. This was the first game this season, that the Knicks held an opponent to under 100 points in a game. Defensively, the Knicks cranked up the ball pressure in the second half. The Knicks recorded 11 team steals, and forced 18 turnovers. New York out-rebounded Brooklyn 60-48. This was crucial considering how effective Brook Lopez and Rondae Hollis-Jefferson can be on the boards. The Knicks limited the Nets to just eight offensive rebounds. Limiting second chance opportunities is a major key to winning in the NBA. The Nets hurt the Knicks with 30 first half points the paint. In the second half, New York did a much better job of defending the interior. The Knicks limited Brooklyn to just 10 second half points in the paint. (Photo Credit: Barry Holmes) Anthony was unstoppable in the third quarter. Carmelo Anthony single handily propelled the Knicks in the third quarter. Anthony was red hot, and scored 14 third quarter points. The Knicks used Anthony’s performance to reclaim the lead in the third quarter, and didn’t look back. Anthony finished with 22 points, seven rebounds, two assists, one steal and a block. Kristaps Porzingis is emerging as a prolific scorer for the Knicks. Porzingis helped to seal the deal, by scoring 11 fourth quarter points. Each game, you can see the youngster gaining more and more confidence. Porzingis finished with 21 points, eight rebounds, two steals, two blocks and one assist. This is the third straight game that Porzingis has scored 20 or more points. The Knicks are 3-1 when both Anthony and Porzingis score 20 or more points. Willy Hernangomez in just 15 minutes tallied 14 points, six rebounds, two blocks and one steal. New York scored just two fast break points in total. Villanova Makes Big East History!! Graduate of Millersville University, with a BS in Communications focused in Broadcast. 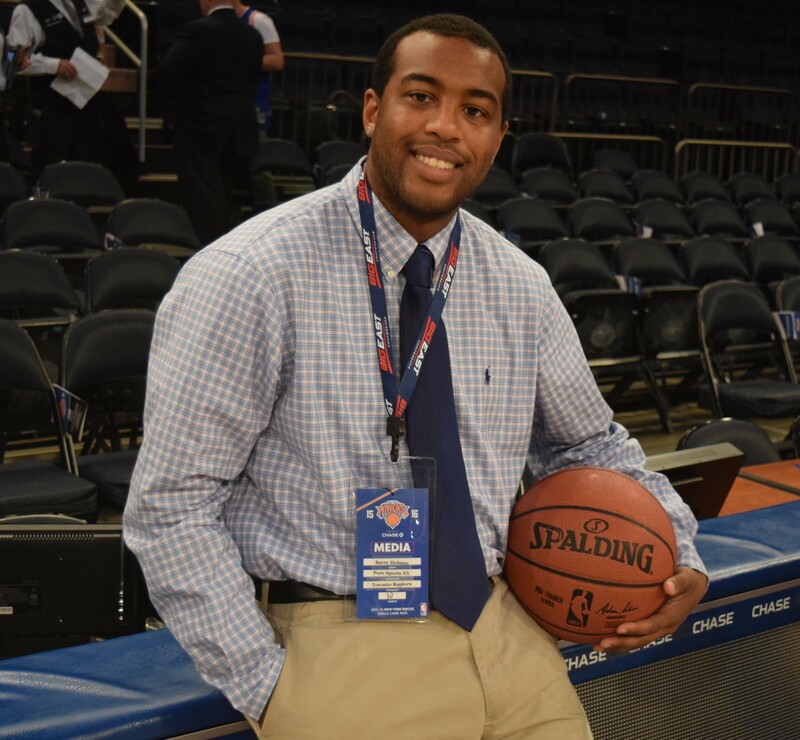 Senior Writer & Social Media Manager for PureSportsNY. Copyright © 2013 PureSportsNY, Gameday Theme. Theme by MVP Themes, powered by Wordpress.